A provocative new novel from bestselling author T.C. 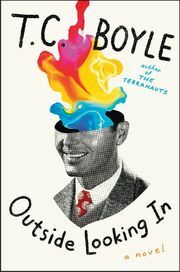 Boyle exploring the first scientific and recreational forays into LSD and its mind-altering possibilities. In this stirring and insightful novel, T.C. Boyle takes us back to the 1960s and to the early days of a drug whose effects have reverberated widely throughout our culture: LSD. Wry, witty, and wise.